On Wednesday the Alabama Legislature will complete its last day of the legislative session. And the bills that still have to be considered is huge! Not only they have to consider the budgets; but they have to deal with the Jefferson County crisis which is going nowhere fast down in Montgomery. There are two bills being considered to help the county. One is to bring back an occupational tax but the people who work in Jefferson County but live outside the county will not have to pay the tax. Another bill is to allow counties in bankruptcy to impose taxes to help the county get out of bankruptcy. But as you can guess it; there are some legislators who are fighting these bills with no plans of their own to help rescue the county. As of right now there is a good chance that nothing will come out of the Alabama Legislature and the results will be drastic in Jefferson County. There are now talks of laying off all but 50 sheriff deputies for the entire county! And one of the TV stations did a story on how some poor people in Birmingham are using abandoned houses to use the bathroom. The reason; because the sewer bills are way too high. Plus there is no telling if the bankruptcy will be thrown out because of no revenue. That would harm the entire state. The legislators down in Montgomery need to quit whining like little kids and work together to find a solution to the Jefferson County mess. Now that’s not the only thing that needs to be considered on Wednesday. I got this e-mail from the AVRAL; read below. Though we have well over 5,000 AVRAL members, not everyone heeds the call to contact their legislators. If you care about animals, you should not sit this one out. Without the passage of this bill, the pet overpopulation problem in Alabama will become considerably more severe than it already is. There will be fatal consequences for countless animals. It’s ironic that a close friendship with an Auburn veterinarian could trigger an animal crisis in Alabama, but that’s where we’ve landed, apparently. We definitely do NOT need to go on the attack against the vet–people who live in a democracy are supposed to contact their representatives and voice their opinions, which is what the vet did. Hubbard made the decision to bring the bill to a grinding halt based on faulty information. Below, HSUS Alabama rep. Mindy Gilbert offers details about the latest turn of events and gives specific instructions about what to say when contacting your legislators. Can you believe it! Our legislators who act like fat kings wants more animals to suffer as well. Just another example of our legislature at work. But the Alabama Legislature has done some fine work so far. It has said that cockfighting is good for Alabama; and schools have to start later in August because the beaches needs cheap teenage labor more tourist dollars. And our legislature is threatening huge layoffs and cutbacks of services such as child support collections because we will not look at our crazy tax system. But hey; we will vote straight party ticket at elections because we cannot think about who we are voting for. We get what we deserve in Alabama. 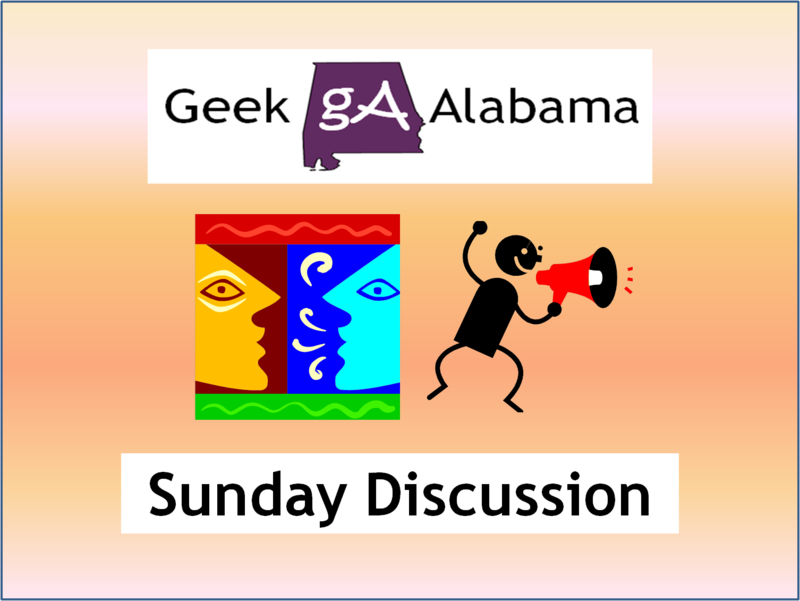 I will have a wrap up of the last legislative day Thursday on Geek Alabama.